Debarment – what does the characteristic of honesty and integrity imply? In the November 8 edition of the Moonstone Monitor, the first ground for the request to the Tribunal for a reconsideration of the decision to debar Ms X was discussed. That article dealt with the formal procedures that are required when a debarment is intended. The second ground for the request to reconsider the decision to debar her, and, in the opinion of this writer, the more important ground, is that the FSP erred in finding that Ms X had failed to comply with the honesty and integrity requirements referred to in Section 13(2)(a) of the FAIS Act, 2002. Acted in cahoots (sic) with a company competing with the FSP during the period of notice of termination of services from the FSP. The Tribunal did not seem to think it necessary to define and deal with what “in cahoots” actually means and why this could in any manner indicate a lack of honesty and integrity. The Tribunal focussed on the question of whether or not the fact that Ms X took a list of confidential client information home with her was sufficient to justify her debarment. Importantly, there is no evidence that Ms X had utilized this “List” towards creating her own engineering underwriting book. Ms X’s counsel in his heads of argument made the clear statement that even if it should be held that Ms X did take the list home and that she lied about the fact that she had obtained employment with a potential competitor while she was employed by the FSP, that in itself would not clearly justify the finding that she is not a person who is honest, has integrity and in good standing. The authorities are clear that one has to assess these qualities in accordance with one’s whole person and it should not be limited to the person’s professional environment or to a single incident. The Tribunal made a point of emphasising that the chairperson at the debarment hearing did not seek authoritative guidance in this regard. In other words, if a chairman is appointed for a debarment hearing, he must be familiar with the principles governing the process. 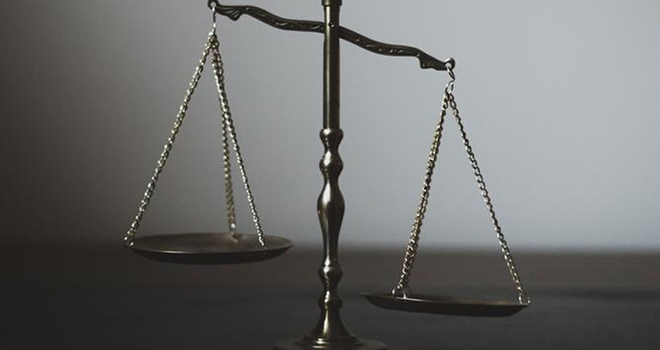 The decision is an important one and provides references to the various authoritative decisions that must be considered when deciding whether or not to debar a person. FSPs are encouraged to read the decision and to note the references provided. This will ensure a fair, just and equitable process is followed when the reasons for debarment are valid and the debarment essential. Click here to download the detailed Financial Services Tribunal case. Click here to read the first article on this case.